The Backyard Wildlife Sanctuary Program Is Here! A new conservation program is in the Athens area to help protect and preserve birds, wildlife, and plant species. Habitat loss is one of the greatest threats to wildlife and you can help. Backyards can become wildlife sanctuaries by providing food, water, shelter, and places to raise young. You can enjoy nature in your backyard each day while learning more about wildlife, habitats, and native plants. Together our backyards, whether large or small, can become interconnected bird and wildlife havens. Let us help you make your property more wildlife-friendly! 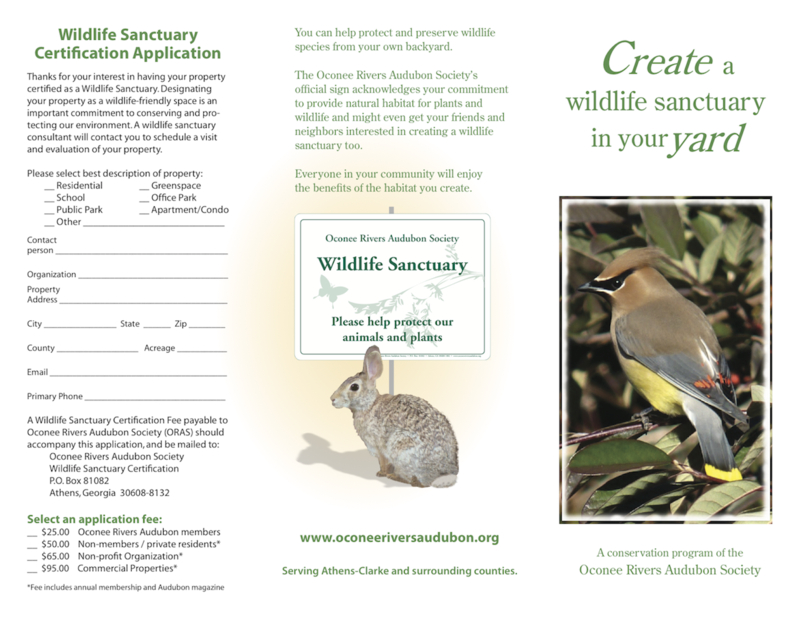 Would you like to get your backyard certified as a wildlife sanctuary? It's easy. Just fill out an application and mail it in. A member of the ORAS conservation team will contact you to begin the certification process. 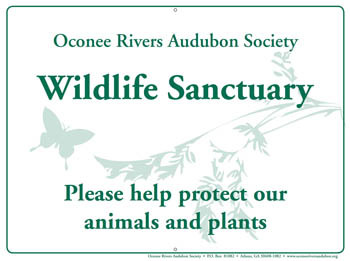 Once certified, you will receive an official ORAS backyard sign to acknowledge your commitment to wildlife. 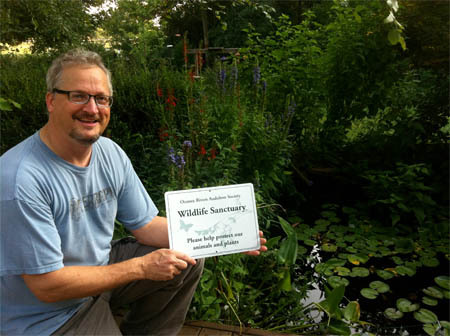 What can the Backyard Wildlife Sanctuary Program do for you? As part of the certification process, a trained volunteer will visit your property to give you tips and tricks on gardening for wildlife. We will also host periodic backyard wildlife sanctuary tours so you can get nifty gardening ideas from other certified properties in the area. Remember, Every Backyard is Important! Please follow this link to get more information about how to make your backyard wildlife friendly!